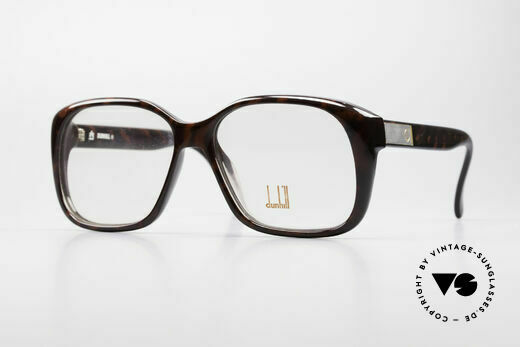 Dunhill is the “gentleman's eyewear” among vintage eyewear. 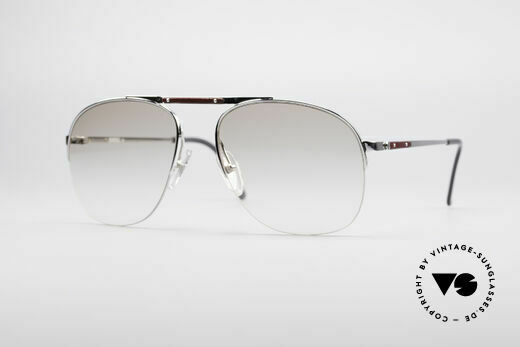 The stylish frames and sunglasses for men were produced from 1981 by Optyl, which was already producing the eyewear collections of Carrera, Christian Dior and Porsche Design. As Dunhill eyewear was intended to compete against Cartier glasses in the luxury segment, however, they were given a very special status in Optyl's range. Optyl had its own development team, which was only responsible for producing the special Dunhill men's eyewear. This eyewear team worked only with the most precious materials and tried to optimize every single production step. This resulted in luxury sunglasses and eyewear of outstanding quality. Whether titanium frame, gold doublé glasses, gold filled frame or 24kt gold plated sunglasses, the Dunhill development team combined quality, design, functionality and image in an unprecedented perfection. The production costs for Dunhill vintage eyewear were correspondingly high. In the 80s and 90s, Dunhill sunglasses cost 120 German Marks in production alone (in comparison: designer sunglasses today are produced for less than 5 Dollars). 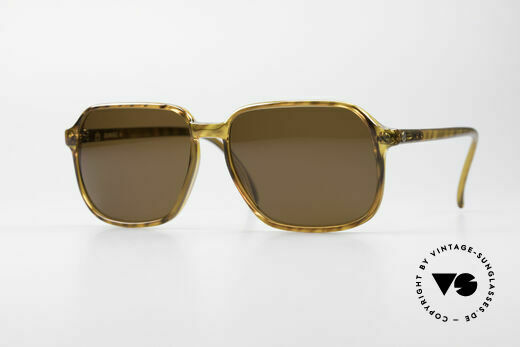 Despite their legendary quality and unique brilliance, the old Dunhill glasses and sunglasses remained more of a niche product. On the one hand, as hardly anyone could afford the precious gentleman’s eyewear, the clientele was small. On the other hand, the Dunhill eyewear collection lacked a prominent wearer who would have made the eyewear models well known away from golf courses and polo clubs. As nobody embodies the British gentleman’s lifestyle more than 007, James Bond would have been the ideal advertising partner; but unfortunately, a cooperation between Dunhill and the secret agent never came about. Instead, Dunhill competitor Cartier equipped the Bond villain Christopher Walken with Cartier glasses, which made Cartier “James Bond glasses”. 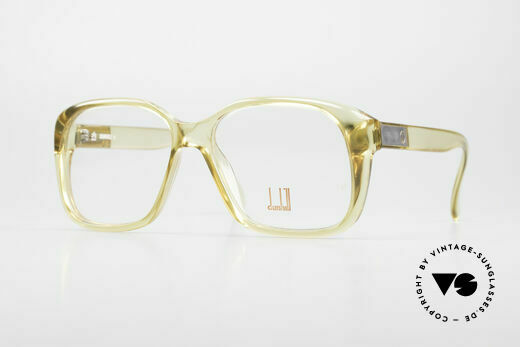 Looking back, however, it is nice that the old Dunhill eyewear never became “mainstream”. As this vintage eyewear, which in the meantime is very rare, has become very special insider eyewear for all lovers of quality and the gentleman’s lifestyle. genuine vintage "must-have" of incredible top-quality! NO retro sunglasses, but an original from 1987!! high-end quality; GOLD-PLATED luxury glasses! NO RETRO SPECS, but a rare 30 years old original!! extremely stylish, precious and rare, !! vertu !! NO RETRO eyewear, but a precious old ORIGINAL! valuable Optyl-material for a timeless quality; durable! pure elegance in design & coloring - you must feel this! this model is at the top of the eyewear sector; vintage! the durable OPTYL material does not seem to age! amazing design & frame coloring - sophisticated! NO RETRO sunglasses, but an original old rarity! NO RETRO SPECS, but a precious old ORIGINAL!